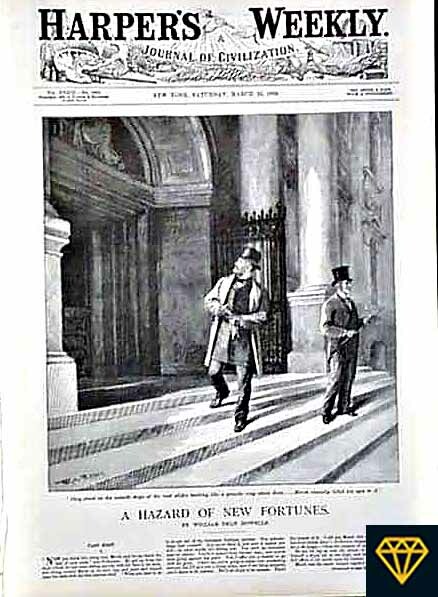 A Hazard of New Fortunes by William Dean Howells is a central text for our work with City of Print. The novel first appeared as serial fiction in Harper's Weekly (A Journal of Civilization) from March 23rd through November 16 1889. It traces social life in late-19th-century New York though the lens of the city's magazine industry. As part of the institute we are using the Genius platform to annotate aspects of the novel pertaining to the print culture of New York City. Click on the link below to begin annotating.